Did you know that that you could own a tiny piece of art history for a mere 75 cents? Seriously. Starting today, only at Target, you can pick up a limited edition, specially designed can of Campbell’s Tomato Soup. 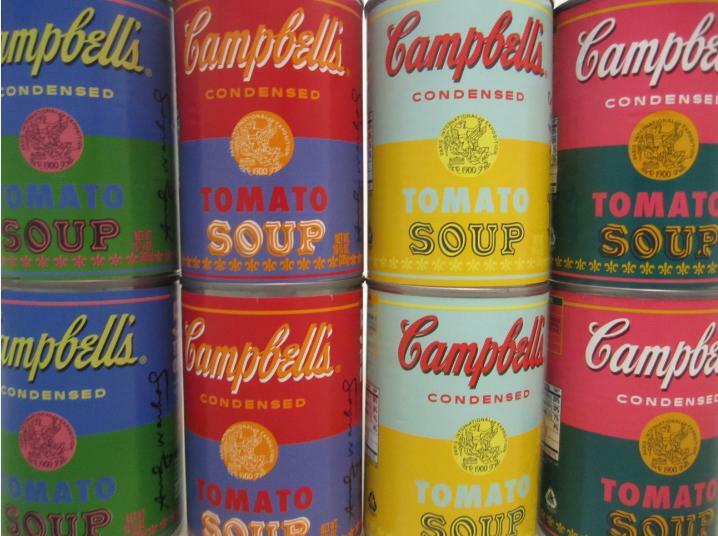 Each classic can pays homage to the 50 year anniversary of Andy Warhol’s iconic 32 Campbell’s Soup Cans. 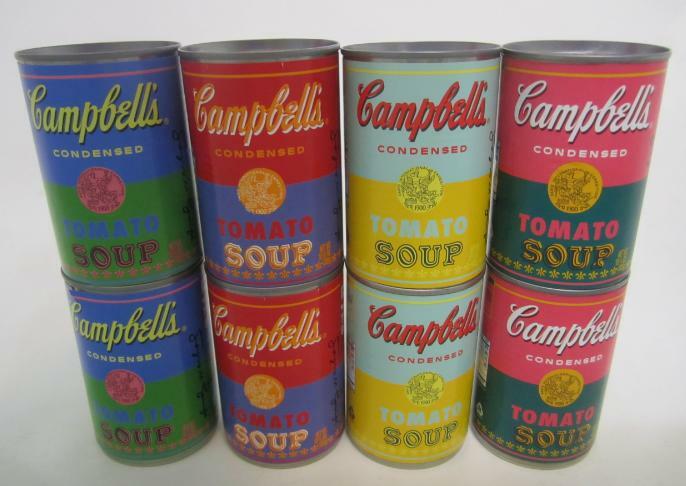 Andy Warhol and his muse, Campbell’s, must be the most iconic collaboration out there. You can celebrate his work over dinner tonight with some tomato soup. There are 4 designs and color schemes for this collection: and at only 75 cents a can, I made sure to pick up 2 of each. Each can features an Andy Warhol signature, quote, and self-portrait on the back, along with an explanation of this “50 Years of The Art of Soup” idea. I’m making my own piece of art out of the cans, as they’re too cute to open and eat. Judging by the hoards of people surrounding the Target display, I doubt these cans will last on shelves very long. If you’re a fan of art or soup (let’s face it, as a Collaboreight reader, you’re bound to be a fan of at least one) you need to check these out today.